Many great folksongs have come from the Emerald Isle and this series gathers many of the best songs and arranges them for beginning to intermediate chorus and ensembles. A couple of beautiful Irish ballads should be in every choir's repertoire. Planxty Kellyis a tribute to a young woman whose all too brief life touched family, friends, teachers and fellow musicians in countless and memorable ways. A fiddle, flute, whistle or an ensemble of these instruments in unison may be used to accompany. The text for this work is comprised of several traditional May Day carols and sonnets from a variety of sources ranging from the medieval era to the 17th century. Musically, the work embraces many different styles, but is largely a tribute to the folk traditions of Ireland, Scotland, and Brittany. It is scored for SATB chorus, Children's or Women's Choir, and Piano. Duration: ca. 15 mins. Colcannon, made from various combinations of cabbage, kale, onions, scallions and potatoes mashed with butter and milk, is one of Ireland's most famous traditional dishes. Although this piece at first seems like a tribute to food, it's really a tribute to memory, and to times gone. The verses take us from the home, to the school, to courting on a country lane, with the narrator a little older in every verse, and a little more aware of the magic of the moment. This gentle and expressive arrangement works equally well highlighting a solo or small ensemble. This traditional nineteenth-century Irish-Canadian lumberjack song is a lively jig and perfect for the young men of your choir. It is energetic and rhythmic with moderate ranges at both the upper and lower extremes. Great for recruiting! Duration: ca. 2 minutes 30 seconds. This is a well-known and popular Scottish song, and the tune is probably older than the lyrics. This simple lullaby tells the story of Dream Angus, one of the earliest of the Celtic deities, and one of the most beloved. For unison treble voices and piano, this piece has a wonderful story-telling feel to it. Duration: ca. 2:15. Fare Ye Weel tells the story of a jilted young lassie who has no intention of wallowing in self-pity; she instead plans to find a new love who will marry her in the morning. This piece for three-part treble chorus and piano should be sung with a lively, carefree approach. Duration: ca. 2:05. A colorful and lively Scottish ballad telling the tale of Lady Ann, gone to Edinburgh to save her man Geordie from wrongful execution. Each of the four vocal parts has its chance to sing! This traditional favorite from Scotland evokes memories of blooming love amidst the wild mountain thyme. This arrangement is especially suited for choirs with changing voices. With Piano. Sydney Carter saw Christ as the incarnation of a piper dancing and calling us and leading us to faith. This sprightly arrangement for treble voices is full of dancing joy. An excellent selection for young singers! This is a gentle lullaby in traditional Gaelic style. The modal harmony undulates between the tonic and the flatted seventh. The obbligato instrumental part may be played on flute, oboe or uillean pipes. The tune is also found in Irish sources as a fiddle tune with the title Rocking the Cradle. 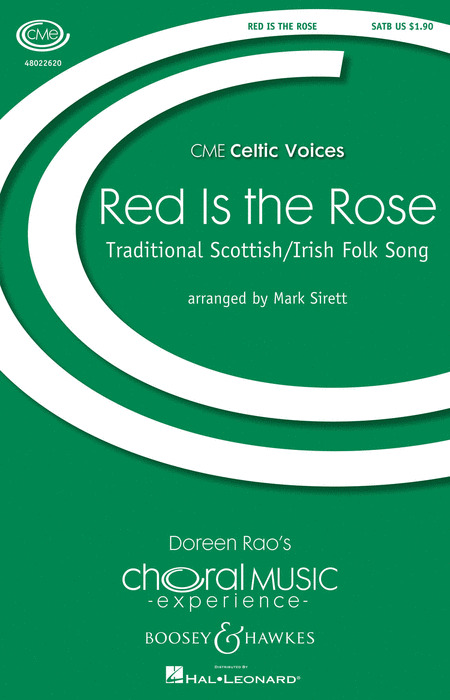 Commissioned by the Peabody Children's Chorus, this classic Scottish folksong is given a lovely treatment for 3-part treble voices. The lilting vocal lines and corresponding piano accompaniment support one another perfectly and create a refreshing new setting of a classic. Duration: ca. 2:45. Daniel Brewbaker's Irish Cantata is based on poems that express a search for ancient origins, for our most primal earthly and heavenly progenitors. All three movements are available here in one octavo. With Bagpipes or optional C or Bb instrument. Bagpipe part available separately: 48001606. 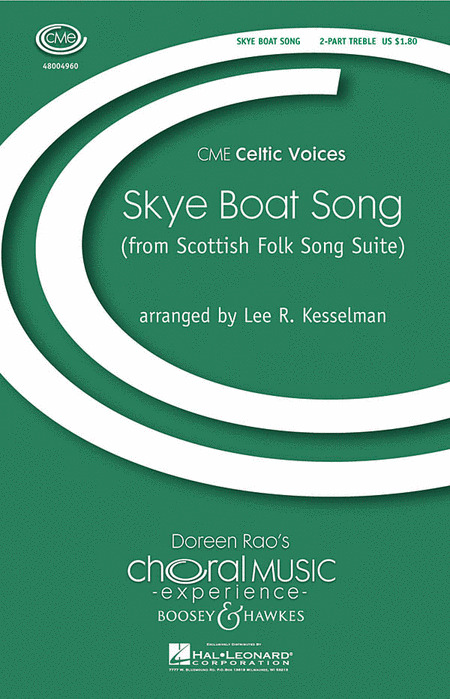 This work for mixed choir is a sweeping panoramic of Scottish landscape and folklore. With bagpipes or solo C instrument. This collection of songs is based on the ancient story of The Dancing Master. The four sections include: Sío (Peace), Fáilte (Welcome), Don't Let the Flame, Bitter Is the Heart. 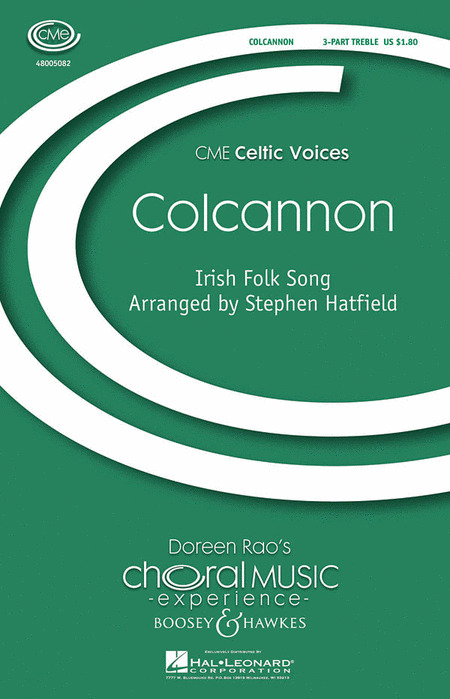 For 2-Part voices, violin, tin whistle and piano. Duration:ca. 25 minutes. This anonymous Irish text is set to the beautiful Scottish melody Loch Lomond. With a piano part depicting the flowing river, passages featuring men's and then women's voices, and a middle a cappella section, this is a concert setting worthy of the best choirs. Duration: ca. 4:00. This is a traditional Irish lullaby/dandling song collected in County Waterford, Ireland in the late 1930s. In it, there are two versions of the same tune; one is a fast, rhythmic version with captures the pulsating, vibrant rhythmic energy of Irish dance music; the other is a slow rendition which is distinguished by ornamental variation and free tempo. A hauntingly beautiful setting of a Scottish poem, Six Bells captures an air of mystery that will enchant audiences and singers alike. Various small solo opportunities make this an ideal piece for budding vocalists to showcase themselves while not taking on anything too overwhelming. For three-part treble voices, a single bell, and piano. Duration: ca. 2:50. The text of this beautiful Irish ballad tells the tragic love story of a young girl who goes to the Curragh to find news of her handsome love, a young man destined to perish with his compatriots in battle. Duration: 3:30. The Green Shores of Fogo bears marks of Irish provenance, although its musical origins were lost before Kenneth Peacock collected the song from Mrs. John Fogarty in 1952. The tune, which Peacock considered one of the most beautiful modal melodies he had ever heard, has attracted more than one set of lyrics, and is also known in Newfoundland as "The Blooming Bright Star of Belle Isle." A playful nonsense story-song full of whimsy, hilarity, and exaggeration! Singable in unison, two or three parts, this work provides young singers with the opportunity for musical exploration, all in a spirit of fun. With piano. Daniel Brewbaker : Who But I?